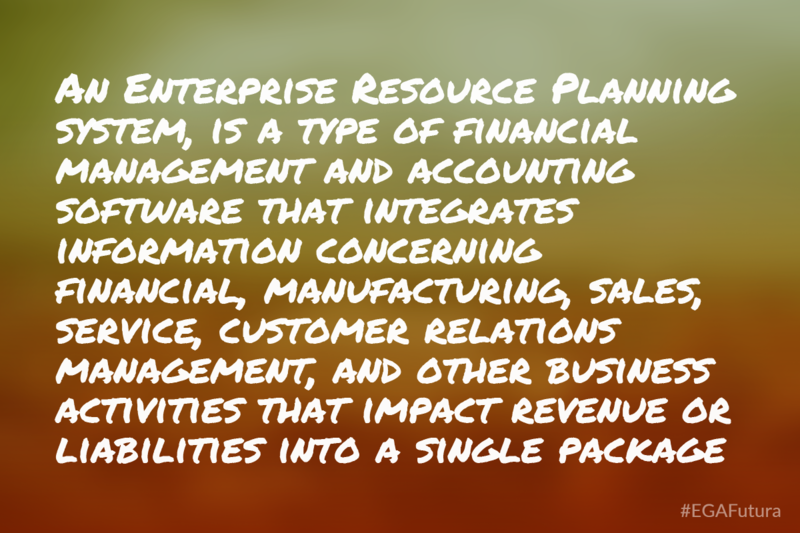 An ERP system, or an Enterprise Resource Planning system, is a type of financial management and accounting software that integrates information concerning financial, manufacturing, sales, service, customer relations management, and other business activities that impact revenue or liabilities into a single package. Usually, these applications rely heavily upon databases in order to store and retrieve large amounts of data. Initially, this kind of software was very popular with manufacturers, who relied on manufacturing resource planning, or MRP software. Today, those software suites have evolved in order to encompass business activities outside of the manufacturing sector, and generally seek to address all core financial functions of a business. ERP systems are used by government agencies, companies, and non profit organizations in order to manage their accounting needs. Most ERP systems focus heavily on business processes that take place in “back office” departments – those departments that are essential to managing the organization, but do not interface with the public. Today, ERP systems are increasingly accounting for outward-facing processes, however. ERP suites usually integrate what are known in the business world as “best practices” – any particular company’s methodology for completing processes in the “best” possible way. As such, ERP systems much be quite flexible, and allow for their end users to tweak the steps of the processes that the ERP software is intended to automate. This allows for easier compliance with standards like IFRS, Sarbanes-Oxley, and more. In addition, ERP systems can help ensure that businesses adhere to standard industry practices whenever they interact with companies and individuals outside the organization. Some ERP suites are modular, meaning that they allow their users to pick and choose software components that will be necessary for their business processes. In some cases, this does not affect the pricing of an ERP software suite. In other instances, each module (i.e., a module that handles all concerns related to manufacturing, including inventory, capital investments, etc.) will cost the user an additional fee. The best selling feature of many ERPs is the ability for the ERP system to directly integrate with a businesses’ other information systems. Usually, gaps between an ERP system and an organization’s other systems – i.e., inventory and warehousing equipment, manufacturing and assembly line equipment, etc. – will be bridged by technology professionals known as Systems Integrators, who will often use customized software and hardware solutions to ensure that various technology systems within the company can pass usable data into the ERP system. Deploying an ERP system relies heavily upon the knowledge of high level professionals working within a firm. If a firm attempts to implement an ERP system without having a detailed and intricate knowledge of the processes that serve to make up the core of the business, the implementation of an ERP system will usually be riddled with setbacks and errors, since staff will usually find that the system leaves out key steps or necessary information during a particular process. Prior to implementing ERP systems, or upgrading ERP systems, it is essential that a business works with a business process analyst in order to codify (and perhaps optimize) existing business practices, so that the practices can be supported adequately whenever the ERP system is taken online. Implementing ERP systems can be particularly painful for organizations with highly distributed clusters, i.e. businesses that run on a franchise model, or where regional offices have a high degree of managerial independence. Implementation of a company-wide ERP system can often result in forcing many of these offices to make procedural changes that will irritate and / or confuse staff or management within various branches. In some cases, this might mean that a particular regional office is forced to adapt unnecessary procedures that do not add any value to their particular branch’s profitability, so in some ways, implementing an ERP system might harm a particular department or branch’s profitability, or impede their competitive advantage. Though ERP systems are designed to aspire to an ideal set of ‘best practices’ within various industries, customers will inevitably need to make customizations. 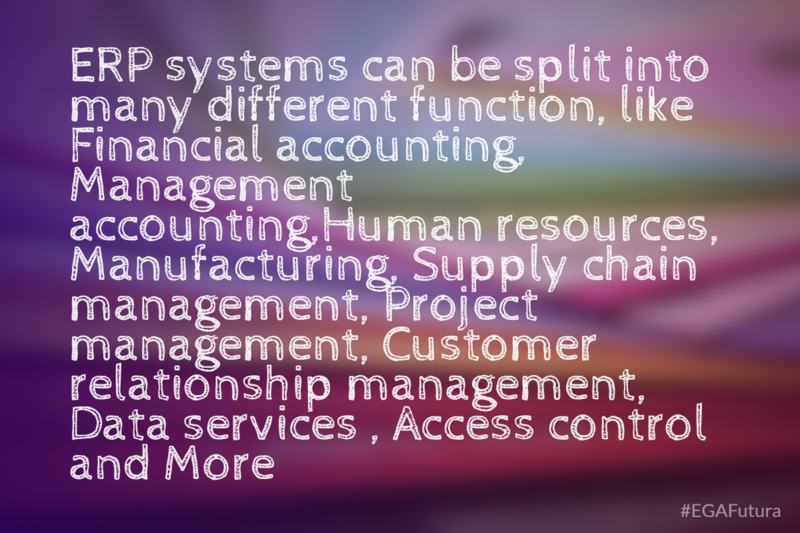 Almost all ERP systems are amenable to customization. Generally, customization is good because it allows for gaining competitive advantages over companies that use only standard ERP practices, and it can also be used to create an ERP system that employees are more comfortable with. However, customization requires additional investment in order to facilitate and maintain, and may actually impede the smooth transfer of data between one firm and another firm whose ERP system does not support customized features. In addition, using too much customization in an ERP system defeats the entire purpose of ERP systems: to standardize practices. 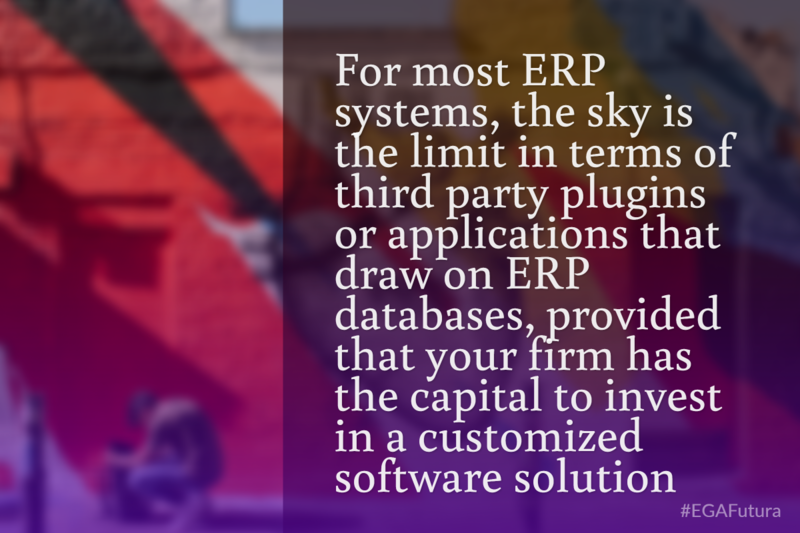 Most ERP systems allow for third party software to interface with the ERP system. For instance, data capture devices (barcode scanners, RFID readers, etc.) can be used to log movement of inventory, or to log transactions. Third party utilities are often used to back up data. In addition, many firms rely onthird party programs to provide analytical support, and to perform analysis on data and to generate reports. Other third party software might focus on projections and scheduling issues, or facilitate improved real-time resource management. For businesses that go beyond the scope of very small businesses, ERP systems are quickly becoming essential parts of the office environment. Not only are younger employees trained to deal with such systems, but they are trained to expect them. Given that ERPs are now more or less an industry standard among mid and large-sized businesses, failing to deploy an ERP system is an unforgivable mistake.